Hand-made Italian acrylic resin has an ebonite effect. 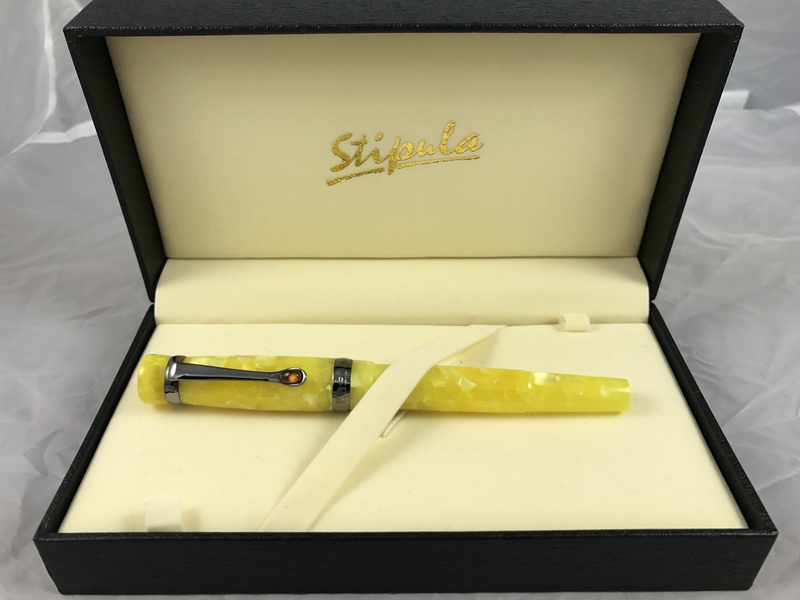 This pen is equipped with a size #4 14tk fine gold nib. 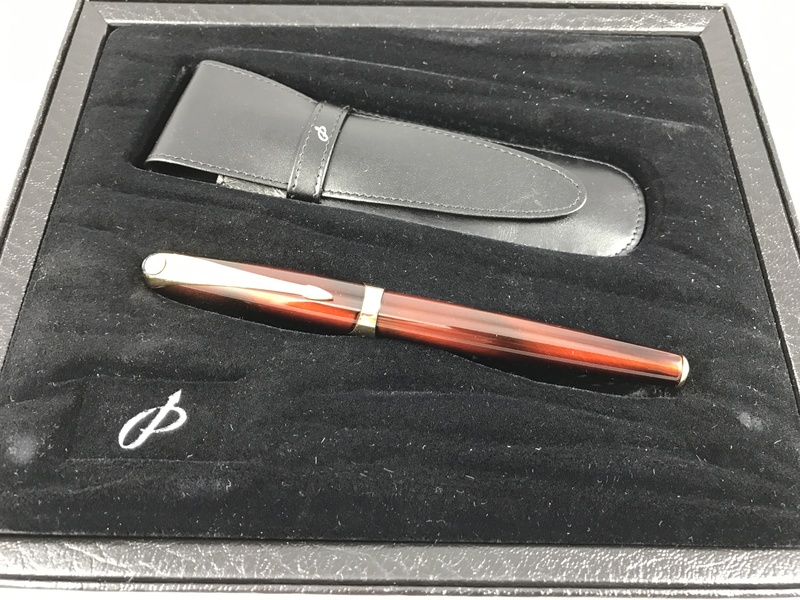 Unique old Delta pen made of burled wood with silver trim uses a standard Parker-style refill.